A female soccer player lies motionless on the field seconds after a mid-air head collision with another player. A young offensive lineman collapses on the sidelines only hours into the first day of summer football practice. The senior captain of the top-ranked girls basketball team lands awkwardly from a rebound and feels her knee explode. In the first few seconds after these devastating high school sports injuries, who rushes to evaluate the fallen players? It’s probably not the team doctors, unless the injuries occur in football. Hopefully an athletic trainer is present. March is National Athletic Training Month. It is a month to recognize and thank some of the most important men and women in sports. If athletes and their parents aren’t familiar with athletic trainers, they should be. They work long hours, for often little pay, to keep the athletes – our kids – safe. Athletic trainers are highly trained healthcare professionals. Nearly all states require regulation in some form and national certification through the Board of Certification for Athletic Trainers. They acquire baccalaureate degrees, and approximately 70% hold masters degrees. They can work in medical rehab facilities, hospitals and job sites. They are best recognized, however, in their roles with sports teams and schools. Make no mistake. Athletic trainers are not “personal” trainers or “strength and conditioning” trainers. While many athletic trainers hold additional strength and conditioning credentials, they are healthcare professionals focused on evaluation, treatment, rehabilitation and prevention of injuries and illnesses. Some athletic trainers are employed directly by schools, while others work for hospitals or sports medicine programs that contract with schools and teams to provide athletic training services. Unfortunately not every school has them. According to the National Athletic Trainers’ Association, in 2009 only 42% of U.S. high schools had access to athletic trainers. Due to budgetary and other concerns, many schools that do employ athletic trainers require that they also teach classes. Long hours in the classroom and then nights and weekends with the school’s teams can frequently lead to burnout. This teaching requirement – and the minimal stipends added to their teaching salaries for the huge number of hours working with athletes – often increases the challenges of schools hiring athletic trainers. Athletic trainers unquestionably play critical roles in athletic programs. In addition to serving as first responders to injured athletes, they can develop emergency action plans, monitor field, environment, and weather conditions, develop and coordinate injury prevention programs, prepare athletes for practice and games, communicate with physicians about injuries, treat and rehabilitate injured players, and help determine return to play for injured athletes. 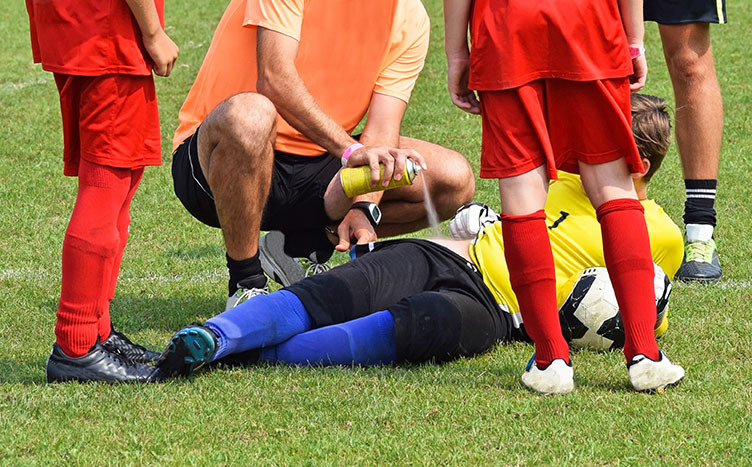 A study presented at the 2012 American Academy of Pediatrics National Conference and Exhibition provided evidence that athletic trainers can be crucial in high school sports. Cynthia LaBella, MD, FAAP and colleagues compared injury rates of high school girls’ soccer and basketball at schools with and without athletic trainers. Injury rates were 1.73 times higher in girls’ soccer and 1.22 times higher in girls’ basketball at schools without athletic trainers. Reinjury rates were 5.7 times and 2.97 times higher in soccer and basketball respectively at schools without athletic trainers. “Athletic trainers facilitate treatment of injuries and monitor recovery so that athletes are not returned to play prematurely. This likely explains the lower rates of recurrent injuries in schools with athletic trainers,” Dr. LaBella observed. Concussions have become the focus of intense scrutiny and media attention in recent years. LaBella and her team found that the rates of diagnosed concussions were 8.05 times higher in soccer and 4.5 times higher in basketball at the schools with athletic trainers present. “Concussed athletes are more likely to be identified in schools with athletic trainers and thus more likely to receive proper treatment,” she noted. Sports provide numerous benefits to children and adolescents. Athletics can lead to improvements in physical health, emotional well-being, social skills, and even academic achievement. But ensuring kids stay healthy and safe to keep playing sports is essential. Having athletic trainers present at all schools is one of the most important ways to do it. How can athletic trainers work with coaches to best serve the athletes? 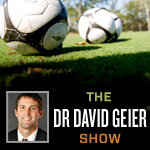 In the Zone segment from Episode 76 of The Dr. David Geier Show. Click here for full episodes or subscribe on iTunes. Note: A modified version of this post appears as my sports medicine column in the March 7, 2013 issue of The Post and Courier.